As a visual artist, my work is primarily focused on building site-specific installation works for museums and galleries. This visual site work affords me the opportunity to research, understand, and underline the dynamics of place, highlighting the totality of the function of sculptural elements to each other and within site. Formally and structurally, my interest is in the details, quality of connections, quality of structure, and an understanding of all physical parts to a whole. This work is fueled and influenced by my research of system dynamics, primarily a holistic investigation of ecosystem function and observations of nature with supportive comparative study in architectural theory, urban development, and the psychology of space as it supports this inquiry and excitement for the dynamism of parts to the whole. Within my research, my main interest has been looking at the quality of thriving function, not dysfunction, found in nature, which observes an awareness of its environment and responds accordingly. 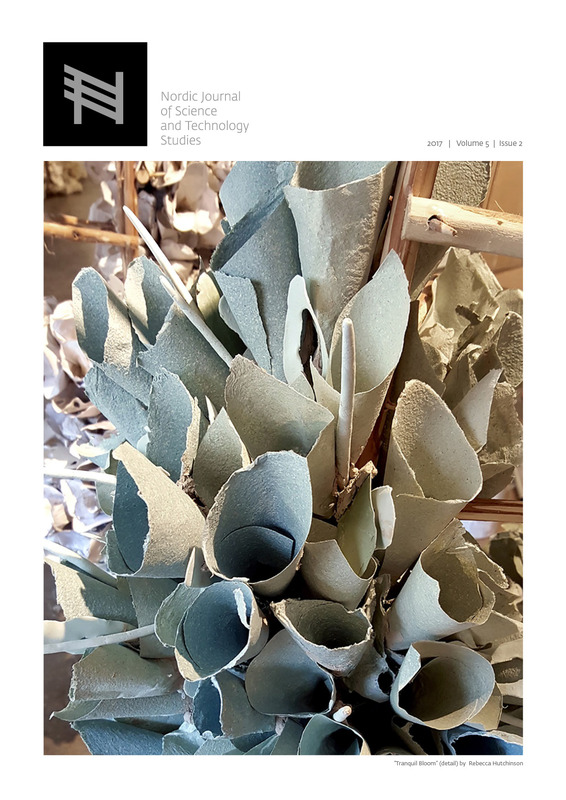 As a point of reference for art making/installation building, I have been utilizing two themes from distinctive research: structural/physical qualities found in species connections and functional growth relationships in nature. This has included studying, most recently, growth dynamics from plant observation of species in groups and species next to species. How plants negotiate around boundaries and root length and dynamics, have been central to my interest in recent research. Ultimately, this research resonates with my observations on human survival and the plight of human relationships, and fuels the visual large-scale installation pieces. In my artwork, not only does content stem from holistic sustainability interests, but also material and processes are involved in making choices about being considerate and being a part of a global system, some of which are distinctive in the field. One of these methods utilizes paperclay, a construction material of a blended mix of clay and paper that offers unique lightweight and large-scale installation opportunity that can be fired or non-fired. I use either clay found close to the site or a dry EPK. The paper (100% cellulose) is either foraged from place in its natural state (grass or stalks) and boiled, or recycled from old clothes (100% natural fibers), both are beaten to a pulp in a papermaker’s beater called a Hollander beater. The paperclay material, when blended at 70/30 ratio, is strong and offers construction diversity; it can be dipped, sprayed, cast, modeled, or stuccoed. It can also be non-fired and fixed with a white glue or Portland cement to be presented at a variety of hardness densities. Or, of course, fired out, losing the paper percent in weight. Building on site with this mud mixture gives flexibility by allowing the installations to be built, making choices as I go, responding to the space and the sculptural forms responding to each other. Ultimately, the installation also accommodates the viewer. It provides a physical passage to move through the piece to consider the relationships between the forms, and the relationship of the forms to the space, offering the consideration of the sensitivities of all integral parts being of value to the potential whole. Rebecca Hutchinson received her MFA from the University of Georgia, Athens. Her site specific works have been influenced by ecosystem dynamics and environmental concerns. Exhibitions include solo shows and installations at San Francisco Museum of Craft and Design; Taiwan Ceramics Biennale, Taipei, Taiwan; Vendrell Biennale,Vendrell, Spain; Keramikos Internationale della Ceramica D’Arte, Bracciano Museum, Bracciano, Italy; Racine Museum of Art; Turman Larison Contemporary; Fuller Craft Museum; Holter Museum of Art; The Society of Arts and Crafts; University of Tulsa; Lowe Museum of Art; Blue Star Contemporary, Vertigo Gallery-Denver; Islip Museum of Art; Skidmore College; and the University of North Carolina- Charlotte amongst others. She is a New England Artist Award recipient and fellowship recipient from: The Pollock- Krasner Foundation, Puffin Foundation, Virginia Cultural Commission, The North Carolina Arts Council, Virginia Commission of the Arts, a Museum of Fine Arts Maud Morgan Award finalist, NEA fellowship finalist for the Southern Arts Federation. Images and articles of her work have been published in numerous publications and books including Studio Potter, Ceramics Monthly, Korean Ceramics, Ceramics Art and Perception, Sculpture, Revista Internacional Cerámica, Critical Ceramics, American Craft, La ceramica in Italia e nel mondo, and in Ceramic Sculpture. Lark Books, 2009, Additions to Clay Bodies, and Paperclay Community and Beyond, upcoming by AC Black- London. In addition to publications, she has lectured and taught at over 70 international and national venues; 20 American university programs, NCECA, CAA, International Paper, Aberystwyth International Ceramic Conferences, Museums and Art centers such as: Vendrell Ceramics Museum, Tolfa Museum of Art, Bracciano Museum of Art, San Miguel de Allende Art Center, Taipei National Fine Arts, Anderson Ranch Arts Center, Southwestern Craft Center, Clay Art Center, Mendocino Art Center, Northern Clay Center, Peters Valley Art Center, Truro Art Center, Appalachian Craft Center, Brookfield Craft Center, Mudflats Ceramics, Guilford Crafts Center, and Manchester Crafts Guild.